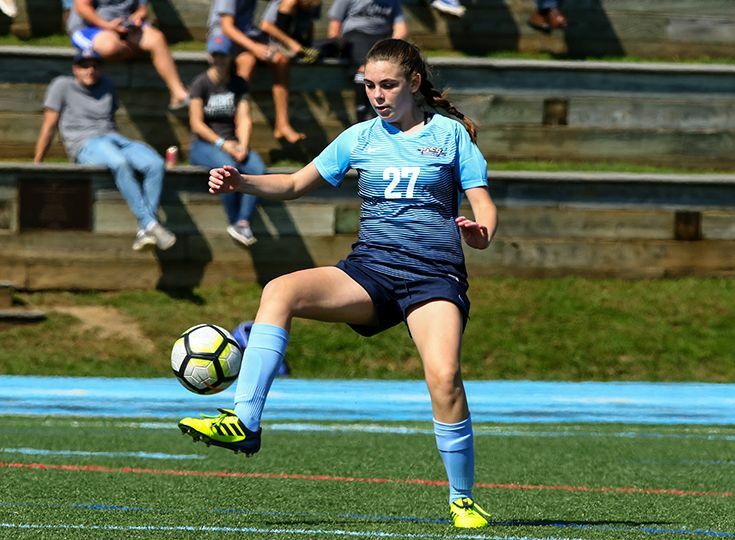 Mia Kolb ’22 has been named Skyland Conference Freshman of the Week by NJ.com! Kolb was an essential component for Gill’s win over Warren Tech this past week as the freshman recorded a hat trick and an assist to help the Knights to a 7-0 victory. With the win, Kolb stands as Gill’s second-leading scorer and the team current sits in second place in the Mountain Division standings with a 7-1 record.